The Chancery Chronicles, Part Deux! One of our favorite shows of the year is the annual employee appreciation party at the Chancery Harbourwalk in Racine! 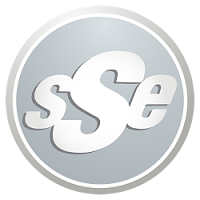 SSE has enjoyed a great relationship with the Chancery for over 10 years…it’s like our home away from home! Brian and his crew soldiered through a challenging year that brought this great crew even closer together. Plenty of big raffle prizes were given away, drinks were enjoyed, songs were sung, and everyone had an awesome time. Cheers to the Chancery! The Chancery Chronicles, Part One! The Chancery Pub & Restaurant in Pleasant Prairie was the site of some Sunday night fun…at their annual employee bash! We were set up in some prime real estate, right between the dining room and the pub. Chancery’s hard working staff enjoyed a delicious buffet, followed by cocktails, dancing, karaoke, and mass hysteria! SSE was in full MC mode, announcing two rounds of killer giveaways, and everyone went home a winner. We’re lucky to partner up with such a great company, and want to thank Adam, Jessica, and all the managers and crew for such a great night! SSE’s first show of 2012 was the perfect way to kick off the New Year! Micaela’s family and friends threw her an awesome "Sweet Sixteen" party, and we were excited to be there! The Moose Lodge in Kenosha was decked out in twinkle lights, and guests of all ages enjoyed plenty of family-friendly fun with great food, tunes, and even karaoke! Thanks to Alex for her generous referral, and to all the parents who planned a very special night for a special girl. Happy Birthday, Micaela!